I have a secret to admit. Before I was heart-set on becoming a writer, my passion was for dirt and anything buried beneath; mainly dinosaurs and ancient civilizations. Although I cannot pursue this passion in full I can still research as much as my little heart desires. So I might as well share my findings with you. Here's an ancient civilization in the United States. The first time I read about it was in the National Geographic Magazine and I just happened to find it again. This civilization really sparked interests. 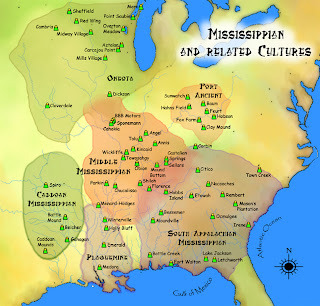 The Mississippians was a large civilization stretching from most of the east's southern coast up to the Great Lakes. This particular culture is one of the only civilizations to create pyramid like mounds. 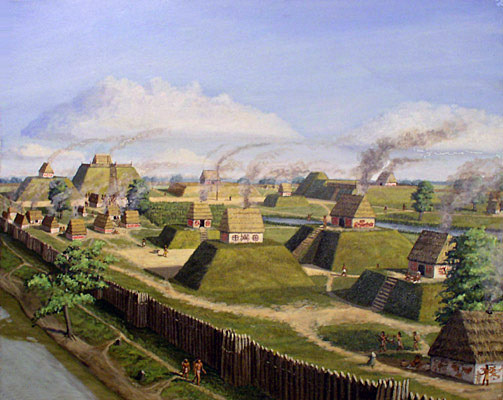 The greatest known and well kept mound to date is called Cahokia and is located in Illinois. As shown in the illustration, the civilization maintained domestic housing; it also created temples and burial buildings. 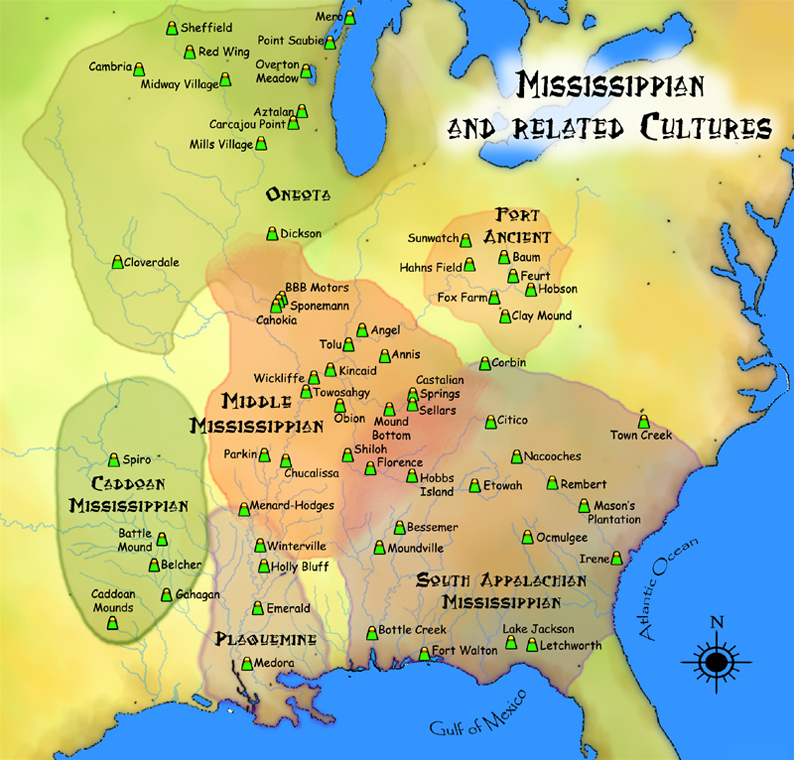 Although the Mississippians civilization was quite large and prosperous with trade spreading into the Rockies, there wasn't a writing system in place. This world came to an end with the Spaniards arrived. Most Mississippians died to infectious diseases opposed to war and fighting. Survivors lingered and became nomadic and others stayed and lived in the old ways, but the Mississippian culture completely collapse and after a couple generations even the oral tradition was severed from its historical roots.